Save time through intelligent functionalities – the motto for ReluxCAD for Revit! ReluxCAD for Revit offers all electrical and lighting planners a great deal of added value. The add-on gives you direct access to products from ReluxNet® with more than 100 luminaire and sensor manufacturers. It determines the required number of luminaires for a building efficiently and simply. To ensure you can acquire an overview in just a few minutes, the most important information on the new add-on is summarized below. You will also find more in-depth information in the tutorials here. Except for the Premium Tools program group, all the functions of this add-on are free of charge. The Premium functions can be tested without any restrictions for 30 days and are being constantly expanded. The roadmap shows what you can expect from the forthcoming updates. 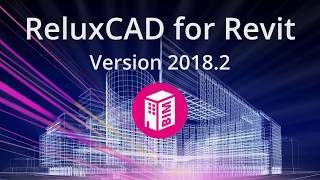 In ReluxCAD for Revit, you have direct access to products with BIM capability from more than 100 manufacturers on ReluxNet®, the product platform for luminaires and sensors. How much light is required for a specific activity? This question is answered by the standards to EN12464 (Part 1 and 2) and ASR A3.4 that are incorporated in the add-on. The subsequent lighting planning calculates and positions luminaires automatically. Determining the number of luminaires required could scarcely be faster. Connection to ReluxDesktop, the lighting and sensor planning tool for professionals. Do you need product parameters to CoBie V1? With a single click of the mouse, the add-on will compile the parameters and fill these with information. A parts list is provided as support for subsequent quotations. We support MEP rooms since architecture rooms are not available to all users. Sensor planning in real time. Always right up-to-date thanks to our membership of SensNorm and CECAPI. Start your first planning phase with manufacturer-independent products. Is the product from manufacturer “Example” still available? Have changes been made to key parameters? The add-on will look and make comparisons. This is 30-days trial application.